Our dentist has undergone intensive specialised training from the University of Melbourne to become board certified implant provider. We use the best technology and care to make sure you receive the optimal outcome. Dental implant is an effective, strong and reliable way to replace single or multiple missing teeth. A titanium fixture (screw) is carefully introduced and become anchored in the bone, a porcelain crown which closely mimics a natural tooth is then attached to the fixture. 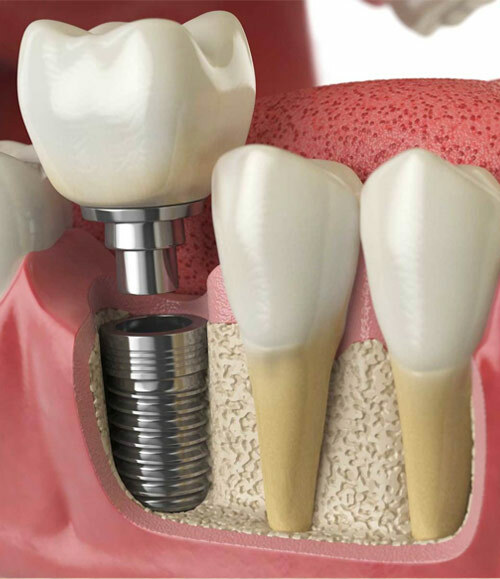 In most cases, dental implant is a relatively simple procedure and healing time is usually very quick. Gold standard for replace missing teeth. Contact us now for your free assessment to find out if you are suitable for dental implants.